Worldwide icon-chevron-right North America icon-chevron-right United States icon-chevron-right California icon-chevron-right Los Angeles icon-chevron-right The most beautiful Japanese gardens in L.A. 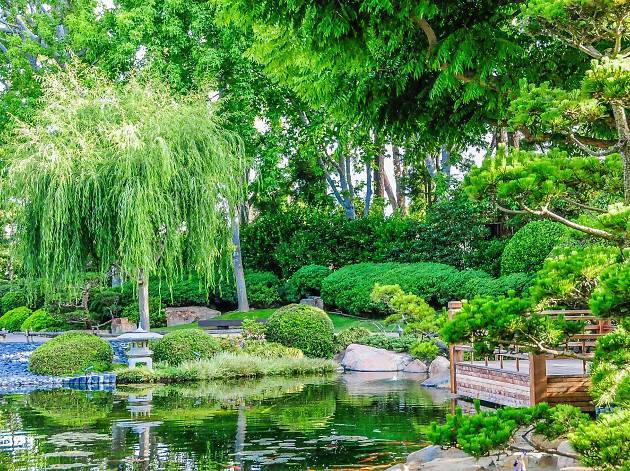 The most beautiful Japanese gardens in L.A. 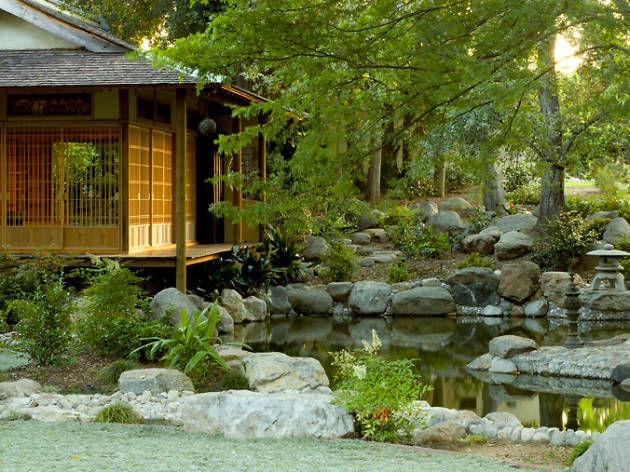 Among L.A.’s many beautiful botanical gardens, none are quite as tranquil as Japanese gardens. Though they vary in size, most share a few features: koi ponds, arched bridges and traditional teahouses. 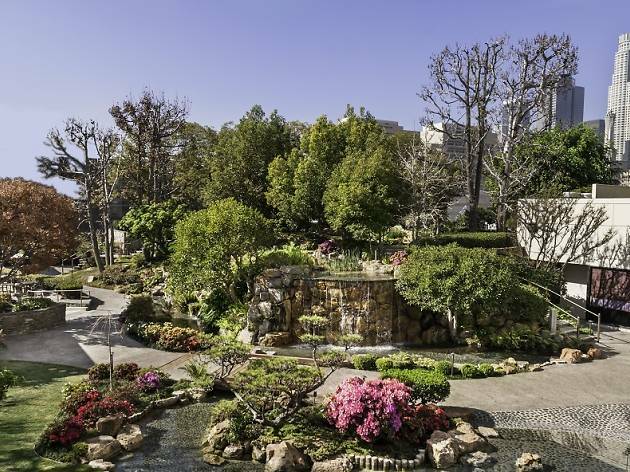 From a Little Tokyo rooftop to a Pasadena-area museum, these—among the best things to do in L.A.—are the most beautiful Japanese gardens in Los Angeles. 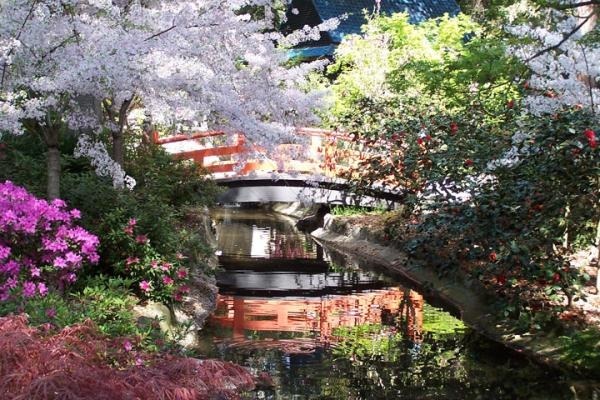 The 8 most beautiful Japanese gardens in L.A.
You’ll find cultural glories inside the library’s impressive book collection, but the Huntington’s highlights are outdoors in its vast jigsaw of botanical gardens. 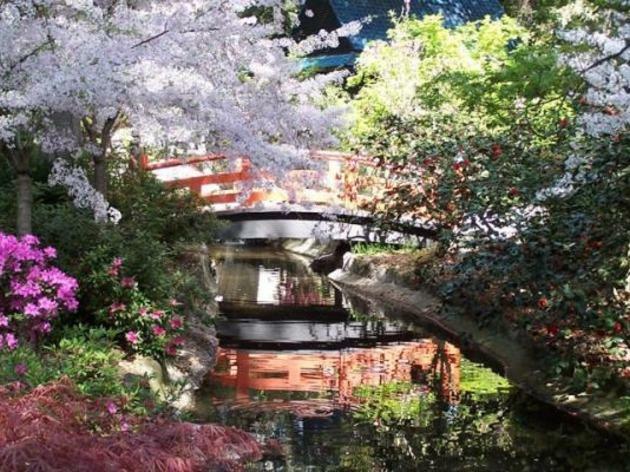 The acres and acres of historic gardens are divided into a variety of themes, most notably its serene Japanese garden and bamboo forest. 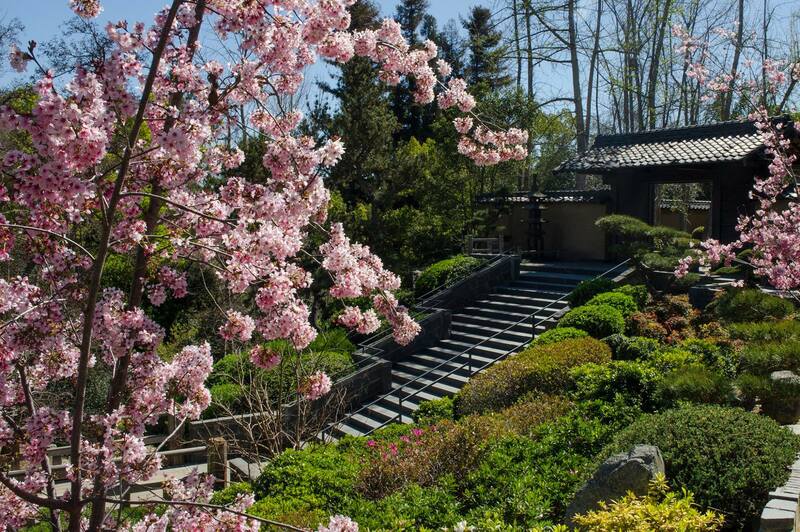 Highlights include a traditional five-room house, a ceremonial teahouse and a bonsai and zen court. 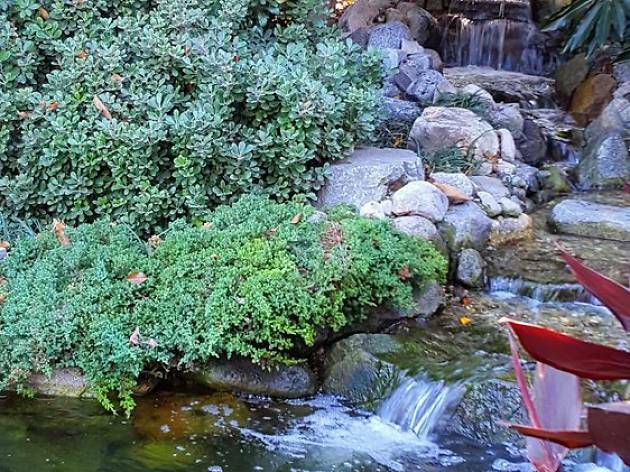 Take a stroll around the serene central pond at this 1.3-acre garden on the Cal State Long Beach campus. 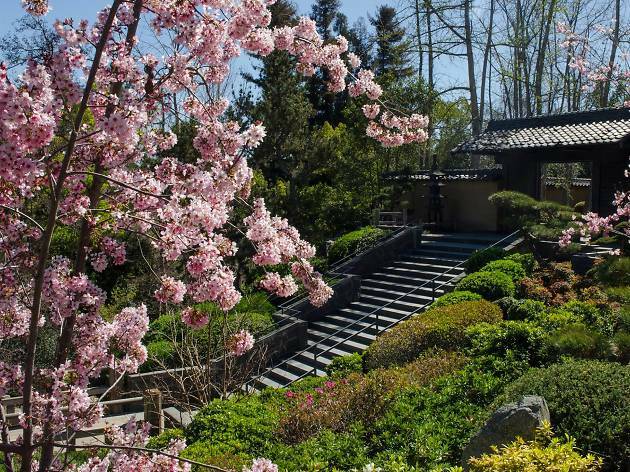 The Earl Burns Miller Japanese Garden hosts lectures, screenings, workshops and an annual origami festival. Dedicated in April 1981, the garden was a gift from Loraine Miller Collins in memory of her late husband, Earl Burns Miller. 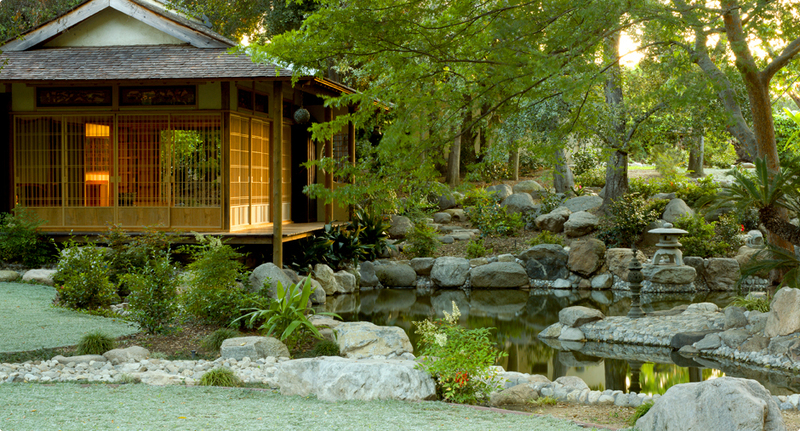 This nearly two-acre private Japanese garden and traditional teahouse opens its doors to the public a few days each week. 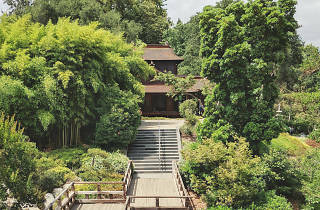 First constructed in the late 1930s, the garden features two ponds, four bridges and a cascading waterfall, all centered around a Japanese tea house. 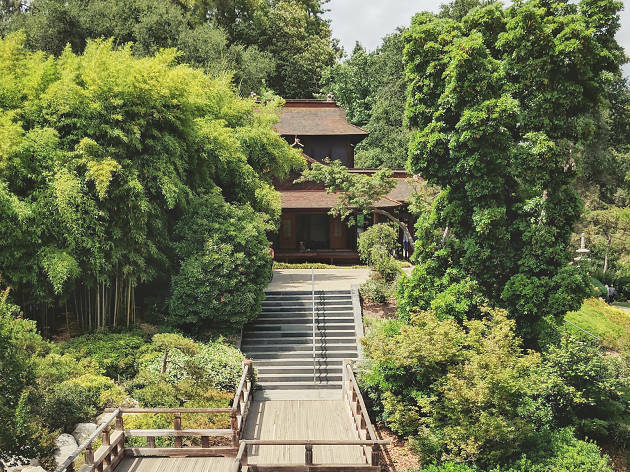 The current structure was painstakingly restored after a fire in 1981; the original was created in Japan by landscape designer and craftsman Kinzuchi Fujii. 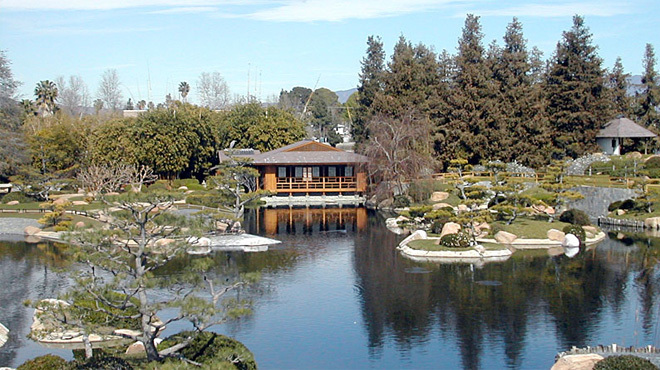 This appropriately titled Japanese garden sits just across from the Sepulveda Basin on the border of Van Nuys. The stony bridges and footpaths wind along a central pond, flanked by rockwork, manicured trees and tea houses. Of course, this wouldn’t be the Valley without a bit of an industrial edge—the garden is irrigated by the adjacent Donald C. Tillman Water Reclamation Plant. 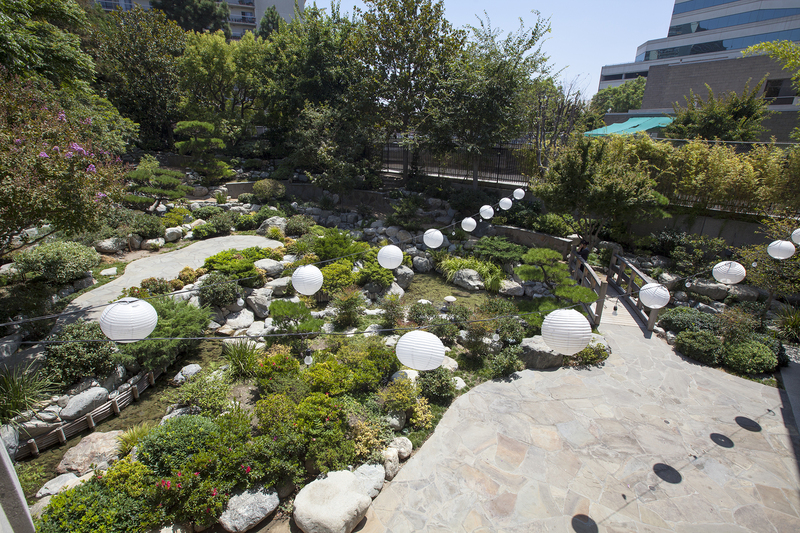 This tranquil garden is one of Little Tokyo’s best-kept secrets as the urban oasis isn’t accessible from the street. To reach the space, enter the Japanese American Cultural and Community Center, check in at the information window on the left, take the elevator down to level B and zigzag to your right through an unembellished hallway. It’s an ideal setting to while away a few minutes far from the hustle and bustle of the city. 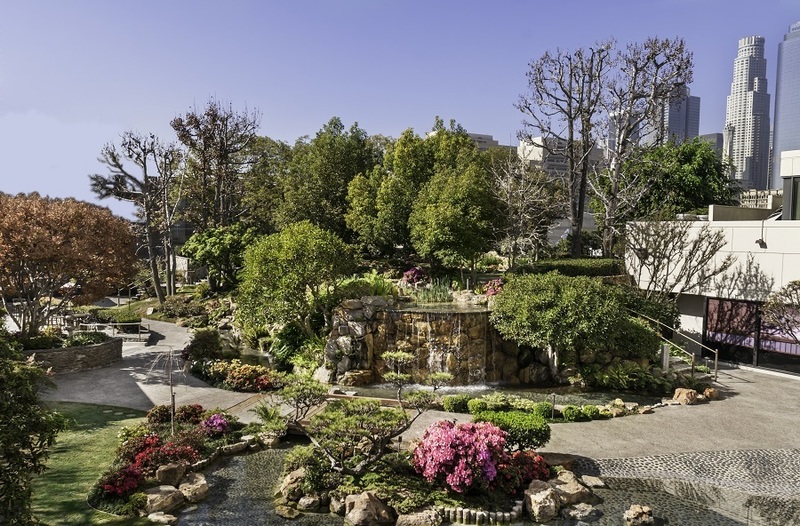 This delightful tribute to the horticultural magic of Southern California includes more than 600 varieties of camellia—during summer, there’s even an open-air lounge dedicated to the flower in the Japanese garden. Cross over the arched bridge and a koi-filled stream and you’ll find a tea house donated by the Japanese-American community. 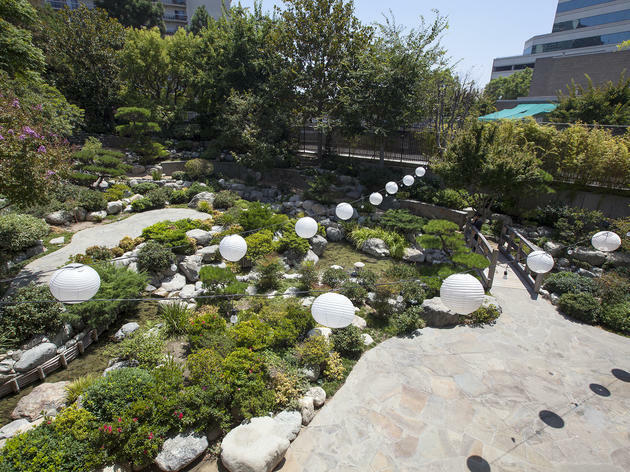 Situated on the edge of Little Tokyo, this high-rise hotel has a Japanese garden hidden atop its parking garage. The compact but finely manicured garden is used primarily as an event space, but it’s also perfect for afternoon respites and evening strolls alike. 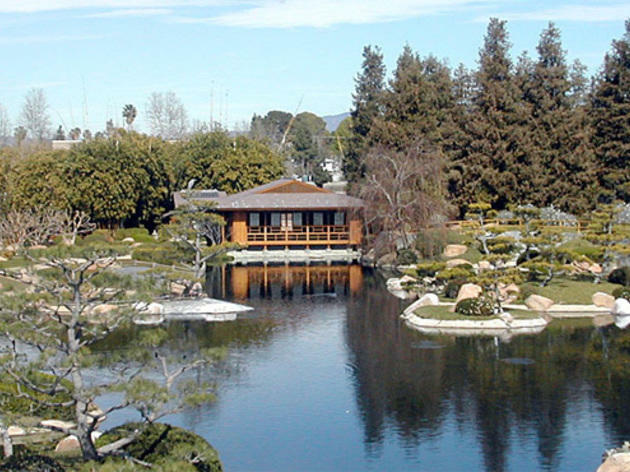 This South Bay botanic garden covers 87 acres on the northeast side of the Palos Verdes Peninsula. 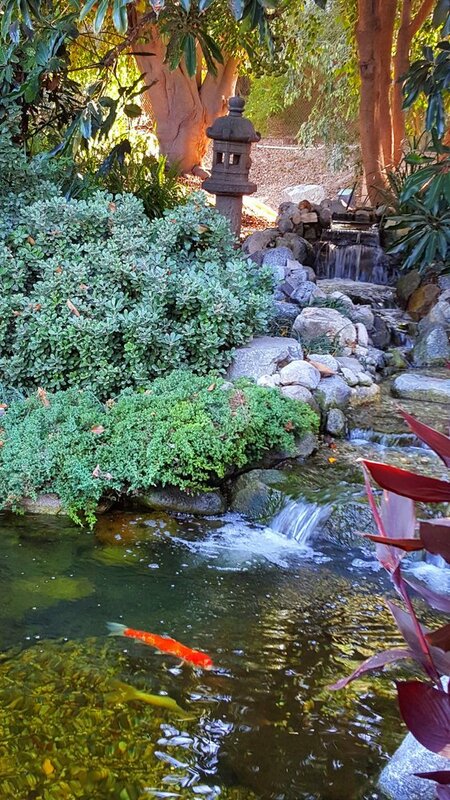 You’ll find a small koi pond with cascading waterfalls and pagoda lanterns just inside the garden’s entrance. 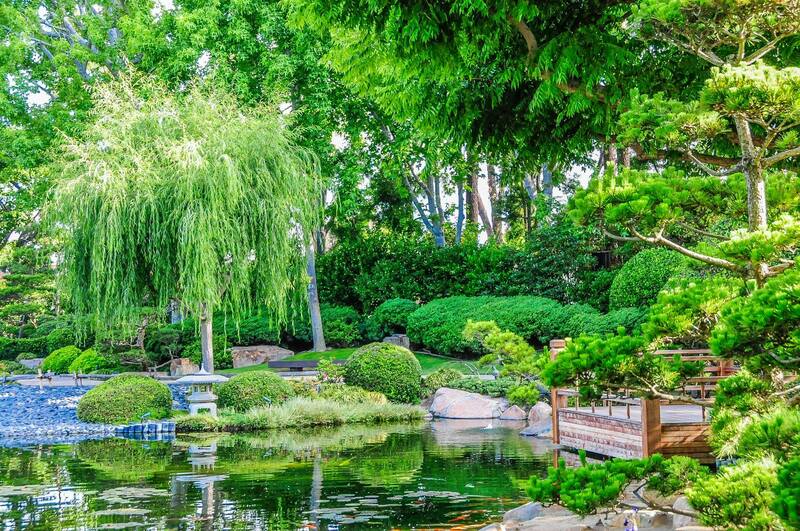 It may not be as grandiose as some other gardens, but it’s well worth the price of admission.